Huge thanks to Mike Maddox for providing the book, and for sponsoring this commentary/review. First off, let me begin with a bit of background about this book. HOMEWORLD is a fully 3d space-based naval combat RTS game that was first released around 1999. It later spawned 2 sequels, one of them being a short spinoff, CATACLYSM, and a fully realized sequel HOMEWORLD 2, released in 2003. Sometime in summer of 2014, HOMEWORLD REMASTERED COLLECTION was announced and finally released this year in February. 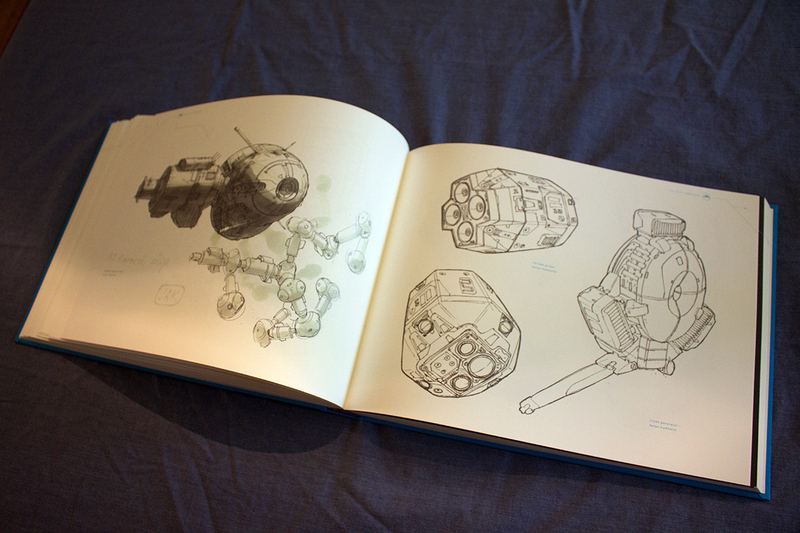 At first glance, one of the first thing that becomes immediately clear about this book, is that it is absolutely MASSIVE, With 236 pages of artwork, interviews, concepts, and unused game assets. The book itself is well constructed in a nice minimalist style to match that of the game. Inside the paper cover is the skin of the book, which is a nice fabric texture with the embossed silver icon of Hiigara, as well as the franchise. It’s pages are thick with a non-gloss finish, bringing it all together nicely and quite solid. 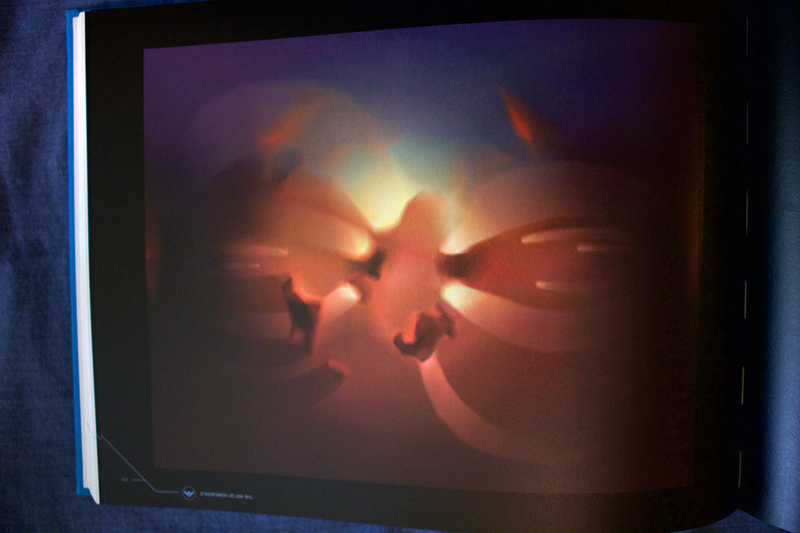 The artwork in the book expands from pre-development Homeworld 1 (1999) to Homeworld 2 (2003) -minus Homeworld: Cataclysm, of course. The Designs range from fighter class singular ships to capital – super capital class ships, massive city ships and mega stations, as well as styles that go all the way from basic sketches, to matte paintings, traditional and digital work, full rendered game assets, and even textures. The art style used in the Homeworld Franchise is very striking and unique. The designs of the ships are very nonstandard, (especially for the time) and have a very utilitarian, asymmetrical style to them. Another interesting aspect about the design of the ships is the bright flamboyant color pallets, and the sharp and crunchy decals and little symbols, numbers and serials across the ships and assets. Its also worth noting that at the time it was something that was kind of new, unlike space ships you would see in other sci-fi genres like Star Trek, Star Wars, Halo, etc., where a lot of the ships where designed with straight white, gray, black, and/or a little bit of olive drab, as well as navy blue, burgundy colored ships. Large industrial looking objects, like beams and cross bar towers, cameras and antennae’s are scattered around the hulls of the ships to help flesh out the Utilitarian look of these massive space hulks and sharp fighter craft. One other thing to note is how the ships -with the bright decals and small crunchy details- are contrasted heavily with the backgrounds and space art, which are mostly consisting of large gradients and objectless areas (minus a star here and there). These really hammers in the emptiness of space, with the only 2 planets being Kharak, and Hiigara; the Homeworlds. It may just be because of the nature of the game, or maybe just the process of development that homeworld went through, but there isn’t a lot of scenery artwork to be found, and the little there is, is not in color. Regardless, the book still has a huge amount of content to offer. 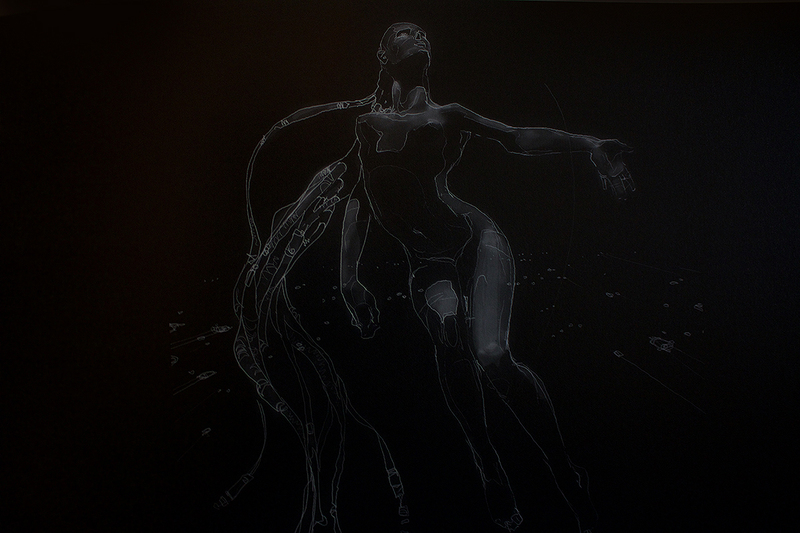 Another huge plus with the art is the extensive interviews with Rob Cunningham and Aaron Kambietz. 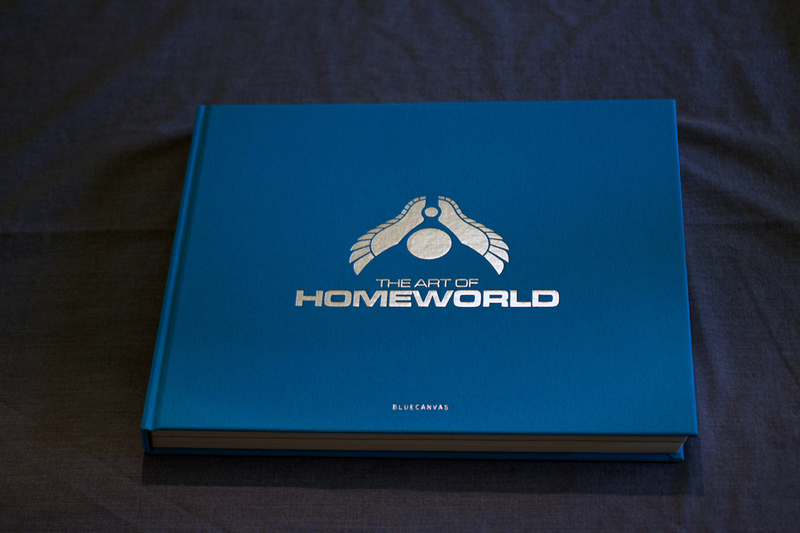 There is also a commentary on the artwork, as well as thoughts and comments on the process of developing the look and feel of Homeworld, all the way from initial conception to the fleshing out of each race, ship, location and how it all fits into the story. 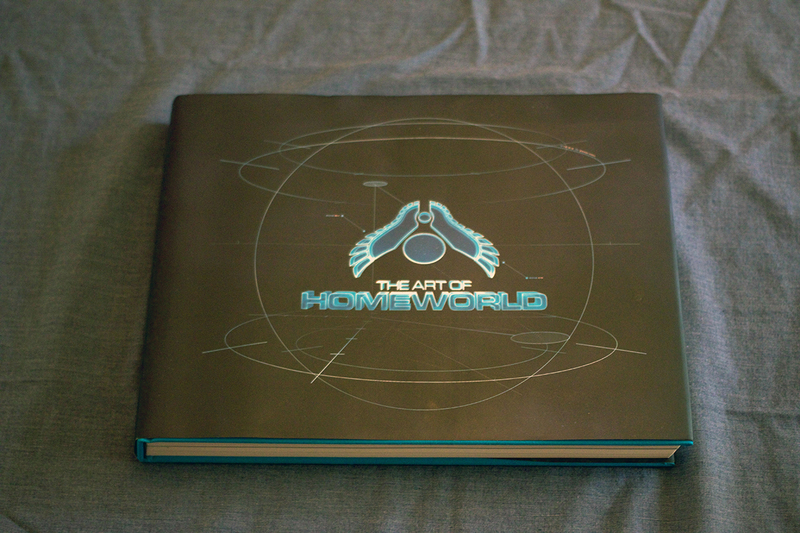 In conclusion, The Art Of HOMEWORLD is a well constructed, solid and beautiful book made by BlueCanvas, who never seems to disappoint when it comes to art books of this type. It is a bit pricey, bumping up to $60 dollars (US), but for 250+ pages of great art, and interviews in a well made, beautiful looking book, you will definitely get your money’s worth. Highly recommended for Homeworld fans, or sci-fi fans in general. Front, with paper covering, top view. 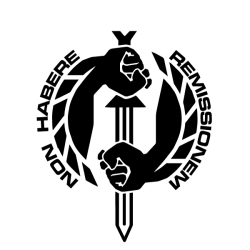 Opening page, and the Hiigara and HomeWorld logo. 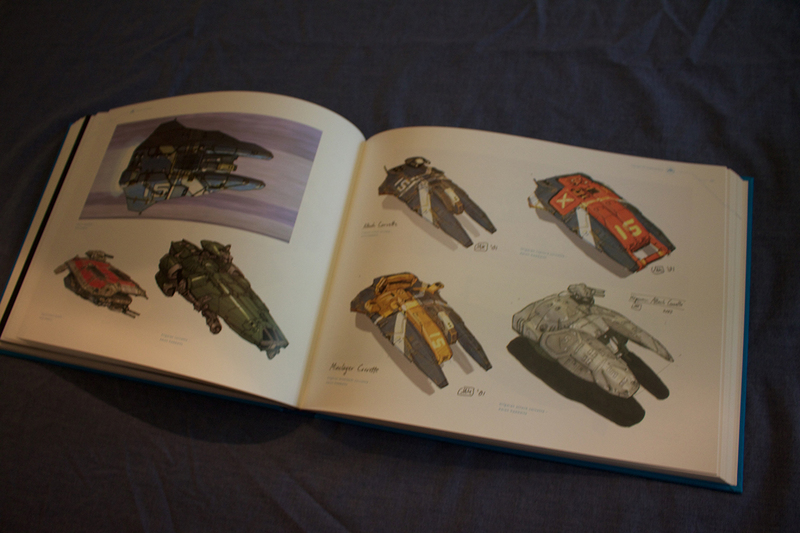 Homeworld 1 (1999) section, various Kushan Frigate sketches by Rob Cunningham. 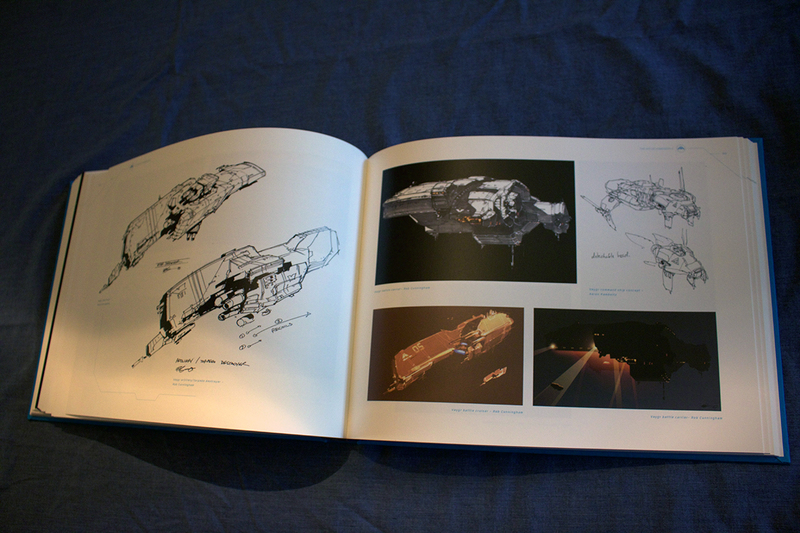 Homeworld 1 (1999) section, various Taiidan Destroyer and Heavy Cruiser sketches, Aaron Kambietz. HomeWorld 1 (1999) section, Space and level background artwork. Homeworld 2 (2003) section, Various Vaygr fleet asset sketches, Rob Cunningham. Homeworld 1 (1999) section, various Taiidan fleet asset sketches, Aaron Kambietz. Homeworld 2 (2003) section, various Hiigaran fleet asset sketches, Aaron Kambietz. Front without paper covering, close up of logo. Space travel, and the mysteries and wonders of the Universe.